After a semi crash, you’re going to need a substantial amount of compensation from those at fault in order to make a full recovery. Find out how to put your life back together by consulting with a Millcreek truck accident lawyer. Getting hurt in a commercial trucking accident is nothing like getting hurt in a “normal” car crash. Not only is the vehicle that hit you so much larger and heavier than your own, but that vehicle almost certainly has multiple entities involved in running it. And any of those parties could be responsible for causing the wreck—possibly many of them. This all means that getting compensated for your injuries and damages after a semi-truck collision is not simple, and things will get even more complicated once the insurance companies get involved and start giving you the runaround. You can make things easier for yourself and avoid much of the headache by working with a Millcreek truck accident lawyer from Craig Swapp & Associates. We can help you determine who was at fault while keeping the insurance company honest in their dealings with you. Why Are Commercial Trucking Crashes So Complicated? As mentioned, the main difference between 18-wheeler accidents and other wrecks is the sheer number of different parties involved aside from the drivers. While even crashes between motorcycles and passenger cars can have at-fault third parties, it’s particularly likely to be the case in these wrecks. What Should Be Included in My Compensation? Whether your case can settle out of court or must go to trial, you should receive compensation for all of your injuries and losses. The bulk of your damages will likely be financial in nature. These might include items like current and future medical bills, lost income, vehicle repair or replacement, transportation costs, and anything else with a price tag associated with it. On the other hand, the damage done to your quality of life also needs to be considered. In a semi-truck accident, these are likely to be just as substantial as your physical injuries. Your non-economic damages will include things like pain and suffering, emotional distress, lost companionship, disfigurement, and simple lost enjoyment of life. 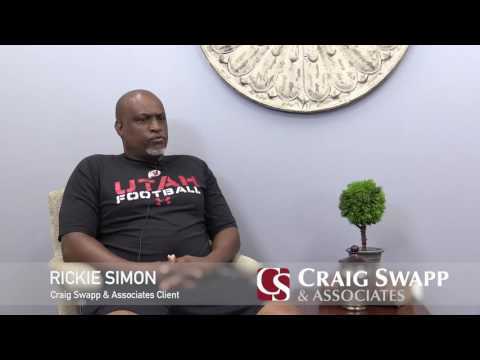 Craig Swapp & Associates wants to help you get all of the compensation that you are rightfully entitled to. Recovering from a trucking crash is not a simple thing, and the insurance company and opposing attorneys aren’t going to make it any easier. To find out what we can bring to your case, schedule a free consultation with a Millcreek truck accident lawyer by completing the online contact form below or by calling 1-800-404-9000.